Kesha Rose Sebert, better known by as Ke$ha , is an American pop singer and songwriter. Her debut single, “Tik Tok”, released in late 2009, reached number one in eleven countries. Her music incorporates elements of dance-pop, and she uses a spoken word rapping style on many songs. 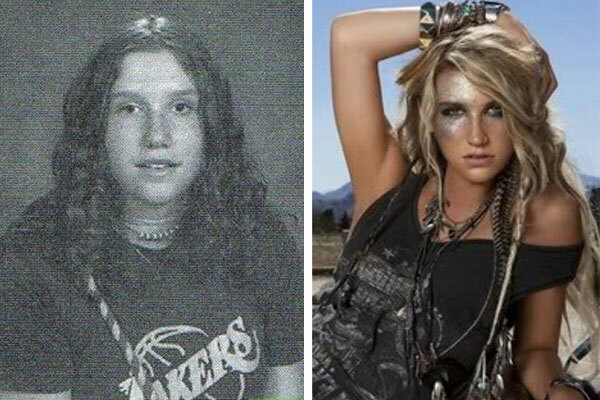 Ke$ha was an Ugly Duckling! Rising Star Kesha wasn’t always so glam and accessorized, it takes a whole team of people to put together a look as original as she usually looks. Take a look at this photo of her from High School when she was just your average angsty teenager. It also looks like Kesha was able to lose some weight in her transformation to chart topping singer as well. Looking good Kesha!